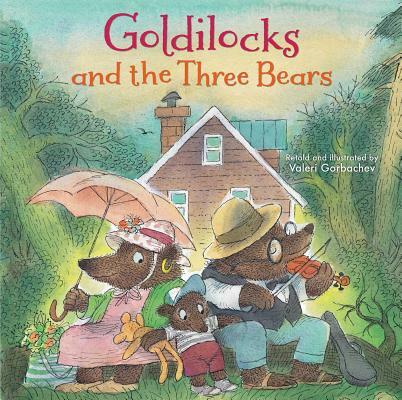 Valeri Gorbachev’s warm and humorous retelling makes this classic ‘just right’ for little listeners! When Goldilocks finds the coziest cabin she’s ever seen, she goes inside to explore. As she samples the porridge, chairs, and beds, she’s doesn’t notice who is right outside the window . . . Could it be the bears?! NorthSouth Books is pleased to reissue Valeri Gorbachev's warm and funny take on the classic tale. Valeri Gorbachev is the author and illustrator of a number of children's books, both in the United States and Europe, including Chicken, Chickens Go To School and Little Bunny's Sleepless Night. Originally from the Ukraine, Valeri and now lives in Brooklyn, New York. This bear family is as friendly a furry trio as ever set paws in a forest.